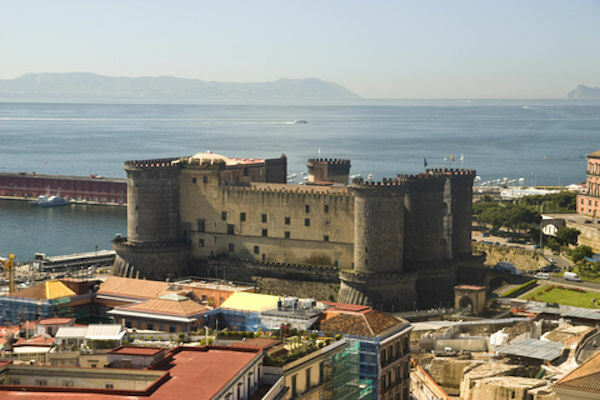 This Naples City tour shows you the whole city from its stunning bay to its historic center. Enjoy panoramic views of Naples at Saint Martino's Hill, Naples highest point. Visit all the major attractions in the city center including the Galleria Umberto, the Royal Palace, Duomo of San Gennaro and Plebiscuito Square. We will first walk you along the waterfront to enjoy the spectacular views of the bay of Naples. We will carry on to the top of San Martino’s hill, where you will visit the Certosa of San Martino and Saint Elmo's fortress, Naples’s highest view point. After a visit to a cameo and coral factory, we will move on to the city centre to visit the church of Gesù Nuovo, Santa Chiara’s Monastery and the Duomo of San Gennaro. The tour continues through the popular “Spaccanapoli”, the famous "Decumani". The tour finishes with a visit to the beautiful Royal Palace and its Plebiscito Square, the Operah House, the "Galleria Umberto with its incredible marble deco and plaster works and the iconic Castel Nuovo. Remember to bring your camera. Please note – entrance tickets are not included in this tour. A portion of this tour will be walking.